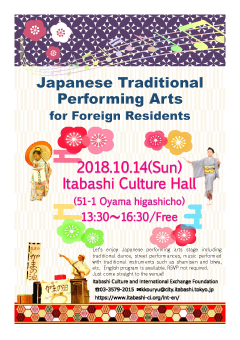 Let’s enjoy Japanese performing arts stage including traditional dance, street performances, music performed with traditional instruments such as shamisen and biwa, etc. RSVP not required. Just come straight to the venue!